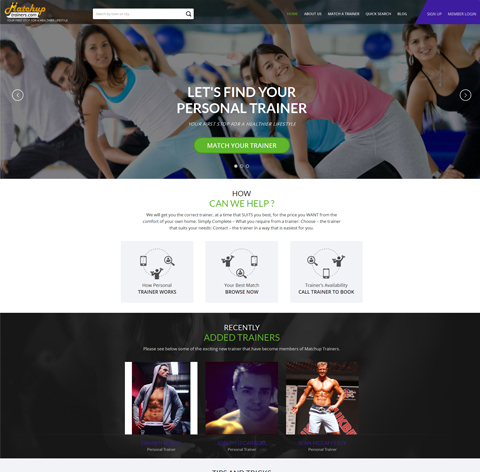 Matchup Trainers are here to provide you with options (in your area) when it comes to selecting a personal trainer to keep yourself health and fit. 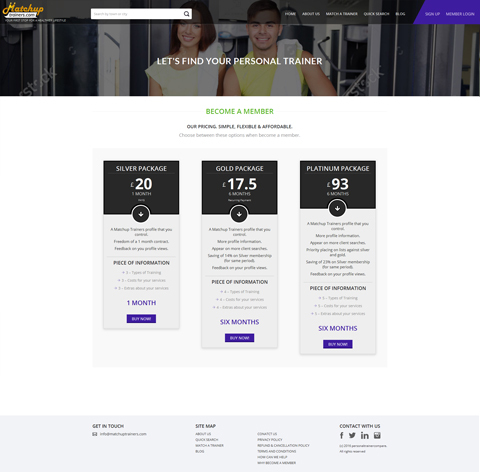 This website will gather all the information that you require from a personal trainer like area, experience you would like, age, availability, cost, type of exercise you require (Transformations, 1-2-1, strength and conditioning, etc. ), the time you would like to spend and other additional features you required. 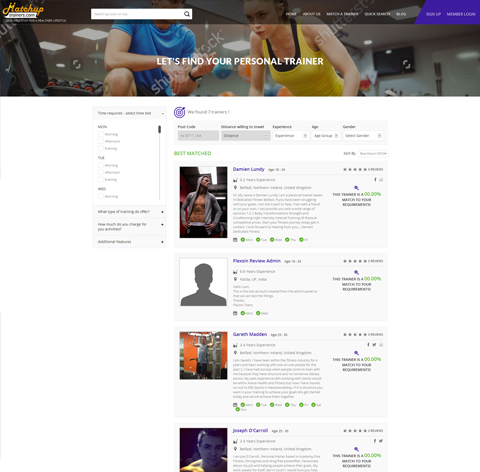 Once you have selected your preferences - the website show all the personal trainers that are best matched to your need (highest percentage first) and after that users can contact the trainers according to their availability and requirements. 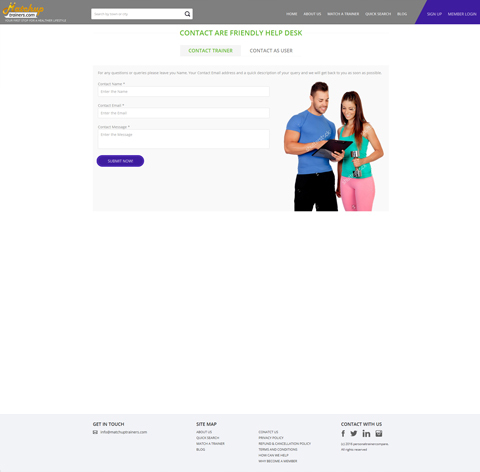 We have developed a robust and easy to use health trainer listing website for users. The website is controlled by highly organized administrator panel to manage users and generate various types of reports. We have followed the high coding standard while developing the website and delivered it exactly as required by our client. 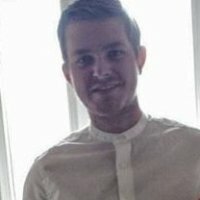 The database designing is one of the major tasks of our project but our developers managed all the functionality features with their advanced knowledge and experience. Front-end Our front-end developers are proficient in using HTML/CSS language which they utilized to create the website design. They used perfect color combination, graphics and coding that make the website very light weighted as well as impressive to attract the users and enhance their experience.